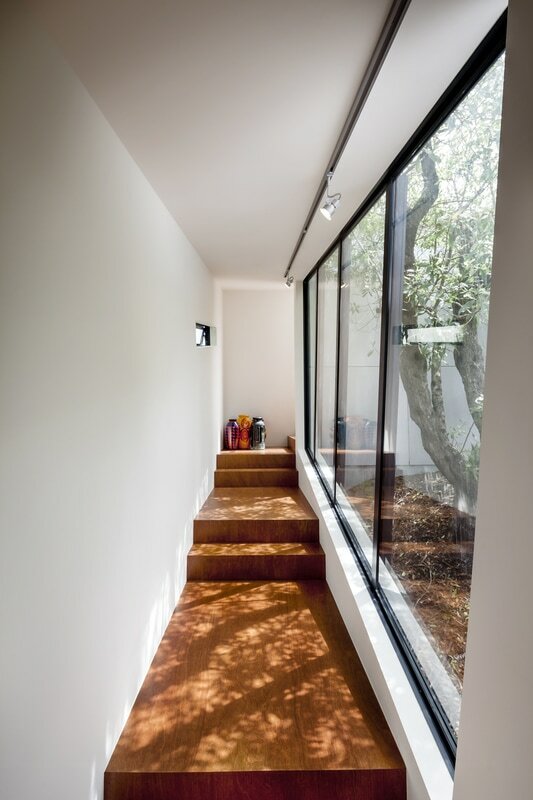 Click Architects is a design focused residential architecture practice based in Wellington specialising in Infill homes . We believe that bigger is not necessarily better; efficient, well-conceived spaces can be just as delightful. We believe that buildings should be energy efficient, space efficient, and cost efficient. We believe that materials and space can change the experience of a place. We love when a space reveals itself slowly, experiencing new views as you move throughout. We love spaces of contrast; compressed to open, dark to light. We love using materials that are appropriate for the site that will age well with time. We love working with open minded clients, where there is clear communication and trust. We love that no two projects are the same. We love understanding the nuances of how our clients want to live and work. We love the challenge of a project, like putting together the pieces of a puzzle to satisfy a brief. We love thinking about how spaces can work now and in the future. We love thinking about how buildings respond to their environment and surroundings. We love the process of construction; seeing a building grow out of the ground, the excitement of the client, and dialogue with trades. We love sharing ideas and learning new ways of approaching things. We love that our work includes landscape and interior design. We love collaborating with builders, landscapers, furniture makers, graphic designers and consultants. We love the variety of our day. We love the process of architecture; from design to construction and the many stages in between.